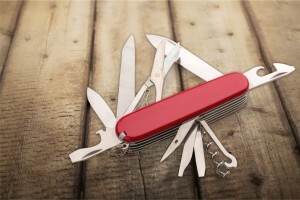 Do you know the difference between a traditional and a functional balance sheet? This excerpt from Changing Outcomes makes the important distinction. One of the hottest areas of medicine right now is functional aging. According to this model, your chronological age is less important than your functional age, as defined by your mental and physical state. You need not buy into the more extreme projections of the life extension crowd to recognize medical science’s improving ability to help individuals maintain a high degree of physical function as they age. These days, Americans in their 70s, 80s, even 90s are competing in weightlifting events, cycling cross country, skiing double-black-diamond trails, and climbing mountains. Focusing on function rather than chronological age helps people live better even as they grow older. We propose a similar emphasis on functionality as it applies to your wealth. Our view is very different from the standard approach to personal finances. If you ask an accountant to prepare a net worth statement, he will list your assets and your liabilities, and deduct the latter from the former in order to determine your net worth. An example of such a balance sheet is on the next page. 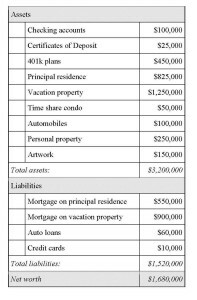 A successful physician couple in their 50s, with joint income in the mid six figures, might look at this balance sheet and conclude all is well. They are millionaires, in fact, almost multi-millionaires. Here is a revised net worth statement, showing only functional assets, which we define as those with predictable positive cash flows over time. (We still show all liabilities, since these continue to take money out of pocket each month. )What’s the problem with this picture? Almost everything in the assets column costs money every month. Much of it (cars and personal property) loses value from the day it is purchased. The only assets these doctors own that will put money in their pockets over time are the investment assets. A very different picture, isn’t it? 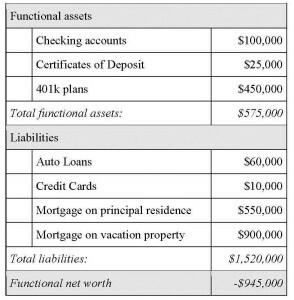 The functional balance sheet shows how much money you have working for you. As you can see, these two hard-working, capable and successful physicians are working to support their lifestyle assets, rather than having assets that work for them. To paraphrase President Kennedy, “Ask not what you can do for your assets. Ask what your assets can do for you.” When you think about your net worth, remember that only investment assets count. We do not include the principal residence in this net worth statement, even though a residence is a necessity of life. Our experience is that the biggest obstacle to financial security for many Americans is the size and expense of their home. The best way to think about your home is as an expensive and durable consumer good, not much different from an automobile or a refrigerator. The larger the home, the higher the associated expenses, and the harder it will be to build functional wealth. Jim has been a CERTIFIED FINANCIAL PLANNER™ professional since 1982. Jim specializes in complex wealth transfer and retirement transition strategies and coordinates TGS Financial’s investment research initiatives. Please remember that past performance may not be indicative of future results. Different types of investments involve varying degrees of risk, and there can be no assurance that the future performance of any specific investment, investment strategy, or product (including the investments and/or investment strategies recommended or undertaken by TGS Financial Advisors), or any non-investment related content, made reference to directly or indirectly in this article will be profitable, equal any corresponding indicated historical performance level(s), be suitable for your portfolio or individual situation, or prove successful. Due to various factors, including changing market conditions and/or applicable laws, the content may no longer be reflective of current opinions or positions. Moreover, you should not assume that any discussion or information contained in this article serves as the receipt of, or as a substitute for, personalized investment advice from TGS Financial Advisors. To the extent that a reader has any questions regarding the applicability of any specific issue discussed above to his/her individual situation, he/she is encouraged to consult with the professional advisor of his/her choosing. TGS Financial Advisors is neither a law firm nor a certified public accounting firm and no portion of this article’s content should be construed as legal or accounting advice.  A copy of the TGS Financial Advisors’ current written disclosure statement discussing our advisory services and fees is available upon request.